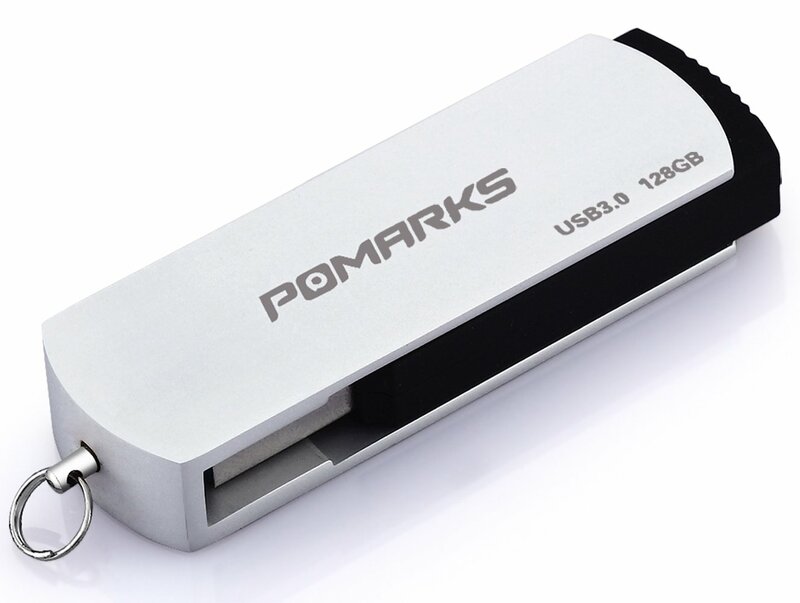 Home › Electronics › 128Gb Usb 3.0 Flash Drive Datafortress 100Mb/S High Read Speed Flash Disk Por..
128Gb Usb 3.0 Flash Drive Datafortress 100Mb/S High Read Speed Flash Disk Por..
Color: 128GB Pomarks DataFortress USB 3.0 Flash Drive Get the most out of your new laptop,tablet or desktop computer USB 3.0interface. Save up precious time backing up to and from the hard drive whentransferring mass data files. 10 Times Faster Tested by many Top 500 reviewers, our memory sticks have ultra high datatransfer speed.Up to 130-140MB/s read speed ,50-60MB/s write speed , 10 timesfaster than USB 2.0. 1GB Data sync in less than half minute. More Space, More Fun Benefit with this mini but large in capacity thumb drive, you are free toinclude more than 3000 lossless song, photograph or quite a few HD movies inthis thumb drive and play on all available devices. File Encryption We suggest you download SecureAccess software to protect your private fileswith full password protection. Lightweight DataFortress is tiny and lightweight, only 0.4 inches in thickness; 0.5 ouncein weight. Very convenient to clip on a keychain. Supported OS Windows 10/8.1/8/7/Vista/XP, Mac OS 10.3.x, Linux 2.6.x. 1 Year Warranty DataFortress are 100% quality check,and we believe in our product.So we backthem with our best service and warranty. Note Speed quoted for USB 3.0 ports. Performed as USB 2.0 speed when used on 2.0 ports. The transfer speed depends on the U disk capacity, file size & amount. The 32GB/64GB/128GB USB drives are EXFAT format, and it may not compatible with Windows XP. You need download the 'KB955704' file to make it work on Windows XP.